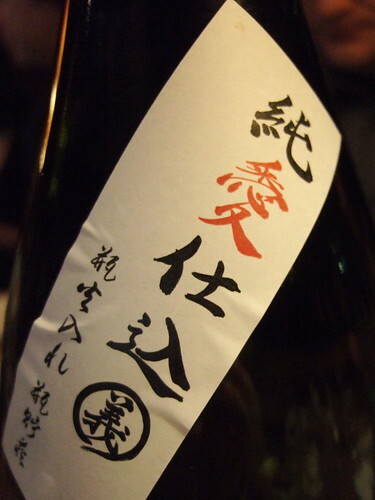 The label on the neck of a bottle of Sharaku 冩楽 junmai ginjo says: jun ai shikomi [pure love brewing]. In Tokyo on the evening of February 15, I was sitting cross-legged in the private dining room of Takara, a modern izakaya, with John Gauntner and his students taking the 2011 Advanced Sake Professional Course. 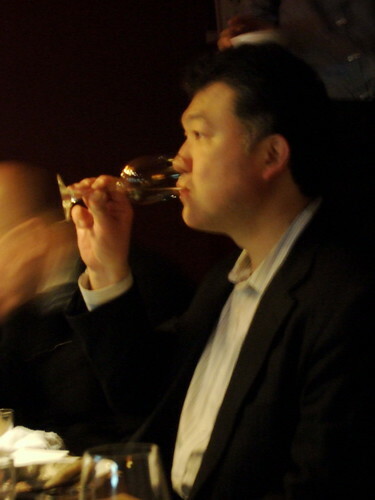 At the table with us was John’s own sake sensei, Haruo Matsuzaki. The night felt auspicious. We toasted, shouting, “kampai!” Mori-san, the maitre d’, organized the perfect service of numerous courses of food matched to the seven sakes John had chosen for the evening. After we ate and drank ourselves into a happy flushed stupor, people began crawling like babies over cushions on the wood floor to talk to others. The very long table was covered with tall 1.8 liter bottles of sake, many katakuchi (sake flasks with open tops), innumerable o-choko (small sake cups), and the plates from dinner. The conversation was animated, enthusiastic, and a bit drunken. Delight and déjà vu: back in 2005 through 2008 when I lived in Japan, Takara had been the site of nine memorable John Gauntner dinners that had solidified my interest in sake. One of the sakes on February 15th was Sharaku 冩楽 junmai ginjo from Fukushima, a rich, tingly, and delicious pure rice sake named after the 18th-century ukiyo-e master whose identity is a mystery. The neck of the bottle had a label that read, “Pure Love Brew,” a pun on the word jun for “pure” [100%] rice sake, with a mixed meaning of something like “love of pure rice sake brewing” and “brewed with pure love.” I was so taken with the phrase that I pledged in a slurred voice that I would pursue a jun life, making it delicious and full of love. And that is where I stopped writing when I heard the news of the earthquake/tsunami/radiation crisis in Japan. 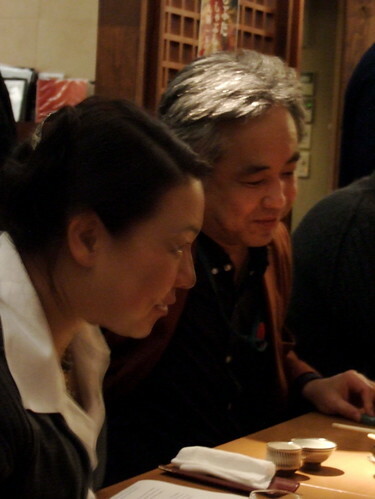 This post was going to be about my love of sake and sake people: my sake sensei, John Gauntner, and John’s coordinator in the sake courses and sake tours (sake expert in her own right), Etsuko Nakamura. 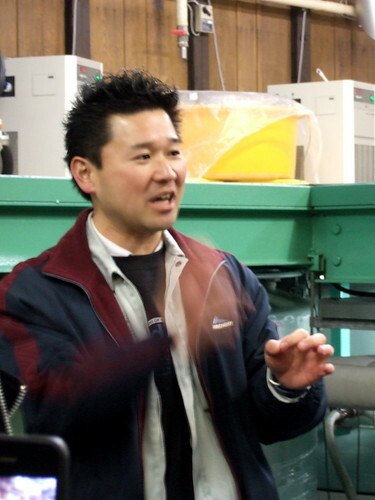 I wanted to share photos of the toji (master brewers) and owners of the breweries we visited and the two sake experts that shared their knowledge with us in the class, Shunsuke Kohiyama, and Matsuzaki-san. After much thought I think that my impulse to highlight the lives of individuals remains the best way we can relate to tragedy. Waves crashing over entire towns can too easily be abstracted in one’s mind as a trailer for a movie about world destruction. But what is lost is moments and memories we can grasp one person, one moment at a time. This is all I can offer today: names and faces of individuals in Japan, some of whom I know are safe, some I hope are. I offer my broken heart with pure love for the the people who died, the people who will suffer, and all that will be lost. 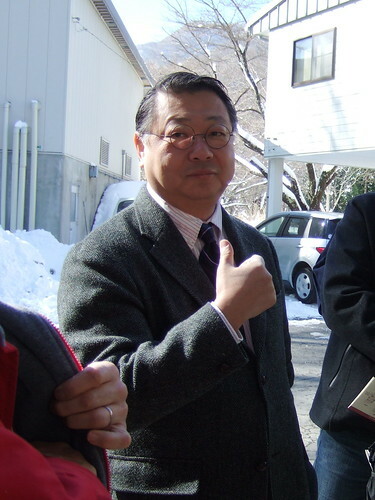 Miyasaka-san, president of Miyasaka Shuzo in Nagano Prefecture, maker of Masumi sake. Igarashi-san, toji of Kumazawa Shuzo in Kanagawa, maker of Tensei sake. 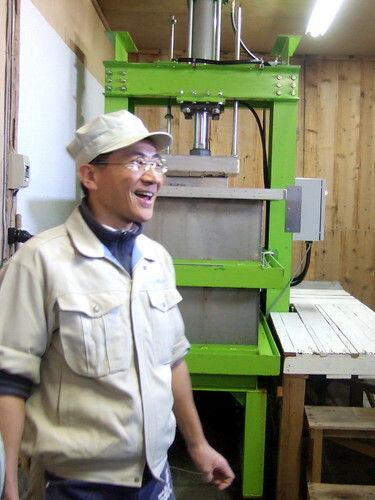 Aoshima-san, toji of Kumazawa Shuzo in Shizuoka, maker of Kikuyoi sake. Well done, Madame. You and your friends have been in our thoughts. Your postings have even more impact and meaning… a toast to healing. You have certainly come a long ways little sake padawan. Just kidding. I think you have convinced me to take John’s course next year. Excellent write up. Thanks for sharing this lovely blog.